Dear Julie – How Can I Make Time For Writing? Welcome to our new writing advice column, where you'll find bestselling author Julie Cohen answering reader questions! Hit a roadblock or have a writing-related query? 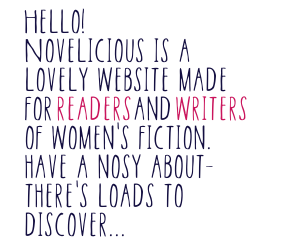 Drop them in the comments or email kerry@novelicious.com and keep your eyes peeled for Julie’s response in later columns. This week, Julie has advice for a writer who is struggling to find writing time. I work full-time and have a busy home life. Do you have any advice on finding time to write? I feel for you. It’s hard to juggle everything. But the truth is, it can be done. Most authors have day jobs, and lots of us have families and hobbies and responsibilities. The trick is finding something that works for you. If you have writing time, USE IT. Don’t allow anyone else to take it from you. Turn off the phone and the internet, shut the door, tell the family not to disturb you unless someone’s bleeding or the house is on fire, and MEAN IT. Say no to invitations. If you can, schedule in a specific time each week so that it becomes a habit. You can write in a queue, during lunch, on the commute, while cooking, while waiting for kids to be done with activities…in any spare five minutes, anywhere. Those little stretches of time add up to big wordcounts, eventually. Several authors mentioned using a timer to write – setting it for say 25 minutes, and doing nothing but writing for that time. You’d be surprised what you can achieve in such a short burst. Similarly, give yourself a goal of just a few words – 100 or so. You can often achieve that very quickly…and they add up. Just get off the internet, and put the dirty laundry in a cupboard. If you can shut yourself in a room somewhere, that’s great. Or maybe go to a café, or to the library. Tessa Harris drives somewhere and parks the car. If you spend your precious writing time rereading what you’ve done before, or fiddling with a word or two, you’ll have wasted it. Write a rough, dirty draft to get the words down. When you sit down to write, just WRITE. Sometimes writing longhand rather than on a computer can help loosen you up to do this. Honestly, you do not need to iron, or have a spotless house, or watch television, or wash the car, or have a manicure. YOU DON’T. Almost every successful author I’ve spoken to has given up something. (I’ve given up most television, and rather a lot of housework.) Do what’s important to you, and let the rest go. You can join timed or untimed writing challenges on Facebook or Twitter. You can set yourself a word count goal for the week. You can make a pledge to your writing buddies. Mandy Berriman had a great suggestion: she promises herself that she will write every single day – even if it’s as little as ten words. Every day she achieves this, she colours in a chart she has. She says she has done this every day for 126 days so far and has finished her novel draft! Rosemary Dun says to commit to 15 minutes of writing a day: schedule it in. Start with twice a week, maybe, and then build up to eventually every day. Once it’s become a habit, you’ll miss it if you don’t do it. In your car. In your bag. In your other bag. In your pocket. Near your bed. In the kitchen. In the bathroom. Have something ready to receive your words, all the time. You can also use the voice recorder on your phone. I make soundtracks for all of my books, and I listen to them as I write. Somehow, my brain trains itself so that when I hear any music from my soundtrack, I automatically think of my story. Putting on music is my way of tricking myself into story planning while I’m driving, or running, or doing things around the house. Likewise, you can do this by associating your book with a certain scent, or a certain location in your house where you always write. I hope some of this works for you, Susan. I’ve picked up some good tips myself. Thank you to my author friends who helped me…and good luck writing! PS – If all else fails, my mate Rowan Coleman says: ‘Try gin.’ And she is usually right. Do you have any tips for finding writing time? Drop us a line in the comments! Julie Cohen has had 20 books published under her own name and pseudonyms, selling nearly a million copies and being translated into 15 languages. Several have won or been shortlisted for awards, including the Romantic Novelists' Association's Award and the National Readers’ Choice Award. Her novel Dear Thing was a summer 2014 Richard and Judy Book Club pick. Julie is also a popular speaker and teacher of creative writing, tutoring courses for Penguin Random House Academy, The Guardian, Literature Wales, The Victoria and Albert Museum, and Writers' Workshop. She runs a fiction consultancy business, with several of her clients having gone on to publication. Her latest book is Where Love Lies.